Part of most days (perhaps more than I'd like to admit to) is spent dabbling around on Facebook. Checking out my little CyberTribe through social media, seeing what everyone is up to. It's there also that I follow a lot of environmental and educational peeps, and other folks or organizations that I like and believe in. It was here, tonight, that I ran across Mike Rowe. No, I don't know him, but I follow him, and I generally really like his no-nonsense way of looking at and addressing things. "A couple of weeks ago, I was stuck in traffic on Lombard Street, desperate to get across the Golden Gate Bridge for a meeting I was doomed to miss. 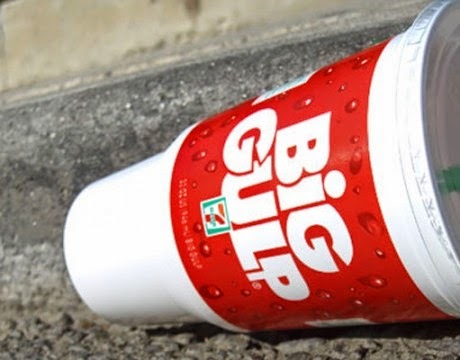 As I quietly cursed the faceless bureaucrat who approved road work during rush hour, the guy in front of me threw an empty Big Gulp out the passenger window. I watched the giant cup bounce around the street, roll into the curb, and come to rest on the grate of a storm drain. The guy was driving a Prius, and the irony was just too much to bear. From there came 13 more short paragraphs on how this insensitive Prius driver polluted the world, and how perhaps every one piece of garbage out there inspires others to be equally careless and thoughtless, dumping on our world. 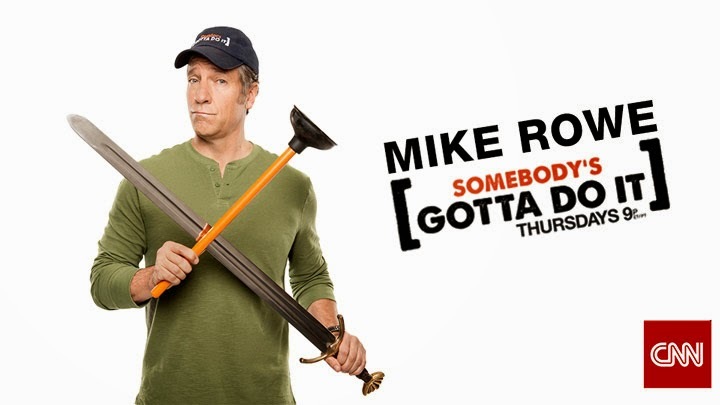 But, as only Mike Rowe can do, he spun this tale of evil into a story of good. He offered up a sneak preview of his latest episode of "Somebody's Gotta Do It" on CNN, which airs tonight at 9 pm EST. Tonight he highlights Chad Pregracke, who was 2013's CNN Hero of the Year award winner. Founder of Living Lands & Water, Chad has been featured over here at GTG in the past. Chad is a modern day super hero, or akin to the tall tale hero Mike Fink, keelboater extraordinaire. Perhaps the only difference being that Chad Pregracke trades in Mike Fink's keelboat for a barge or even something smaller, and works to clean up waterways with a variety of volunteers and a mountain of might. As always, Mike Rowe champions the good guys. The ones who deserve it. "I’m no expert, but it seems to me that most of the “big” environmental challenges in todays headlines are impacted to some degree by our strange tolerance for litter, and our stubborn refusal to punish litterbugs in a way that might actually discourage their decision to treat our country like a landfill. Doesn’t it make sense to do all we can to discourage littering, before we try to argue the merits of windmills and electric cars?"